Page 1- Free effective software solutions. 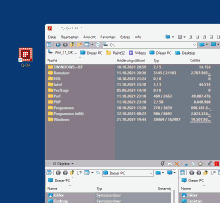 Q-Dir the Quad-Directory-Explore makes your files and folder easy to manage. Fast and easy access, with a amazing Quad-Explorer-View technique. Save many hand moves and time! It's a small famous utility for Windows PC-s and also an USB-stick friend. Save and restore the positions of icons. DesktopOK is a small but effective solution for user that have to change the screen resolution often. DesktopOK does not have to be installed and can be executed easily from the desktop. 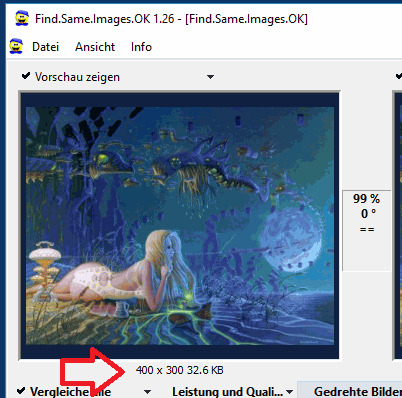 Find Same Images compares these on a pixel basis, but not only that, you can also find rotated, mirrored and negative images, even if the photo has been resized, well suited for rotated smartphone or iPhone photos. 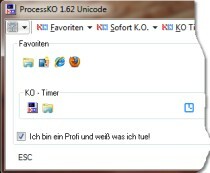 ProcessKO is a small useful tool to quickly kill a running or hanging process / program.Creating Favorite-K.O. for fast killing processes or programs! One can save many hand moves and also time ! ProcessKO does not have to be installed. The problem is well known: Only the written form is remembered, but the name is forgotten.Here helps FontViewOK. He creates a quick visual overview of all installed fonts. An installation of FontViewOK is not required. 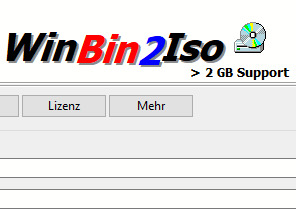 This small program converts BIN CD images to ISO images. Files over 2GB are also no problem. When it comes to a quick convert, is exactly the WinBin2Iso conversion tool that you need.